AT&T PARK — Except for their All-Stars and Tim Lincecum’s no-hitter, the 2013 season has been a disaster for the Giants. Now, they can’t even beat the Cubs. Former Giant Nate Schierholtz homered off All-Star closer Sergio Romo (3-6, 3.00 ERA) in the top of the ninth lifting Chicago to a 1-0 win, its second straight triumph over the Giants and Romo in the final inning. Beginning with their two-game road trip to Toronto, the Giants have spiraled into the cellar, posting baseball’s worst record (23-42) since May 14. That would be a good start. Nothing would be more embarrassing than getting swept by the lowly Cubs (47-55) who are playing better but still 15-1/2 games back in the NL Central. The Giants wasted a sharp outing by All-Star Madison Bumgarner, who deserved a win for eight scoreless innings where he scattered only four hits and two walks while striking out seven. Luckily for Bumgarner, he didn’t take the loss. The Giants offense was sleepwalking through the entire game. San Francisco didn’t even have a baserunner until a one-out walk by Hunter Pence in the fifth inning. With two outs, Joaquin Arias got the first hit with a single into center field. The best chance for the Giants to score was the eighth inning against reliever Pedro Strop (1-3, 5.06 ERA) when they had the bases loaded with nobody out and Buster Posey at the plate. Posey grounded into a force out at short, with Gregor Blanco thrown out at home plate. Pablo Sandoval followed, also grounding into a force out, this time with Andres Torres erased at home plate. Pence struck out swinging. The stats don’t lie: The night was just brutal for the Giants who were 1-for-10 with runners in scoring position leaving ten men on base. As one might expect, the Giants’ clubhouse was quiet. So quiet, in fact, the air conditioning unit was almost deafening to the reporters as they interviewed the notable names. After taking the loss against the Dodgers at home on July 7, Romo avoided the media. This time, he graciously answered all questions asked to him after losing for the second game in a row. The Giants had a bad break in the seventh when Pence blasted a ball to deep right center. But the ball bounced off the warning track and up into the stands for a ground rule double. Pence was stranded at second as the next three batters were retired in order. The Giants fell to 3-6 on their 10-game homestand. … Bumgarner has tossed 14.0 scoreless innings and pitched seven or more innings in eight consecutive starts. 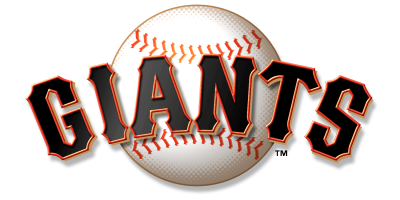 … The Giants committed two errors and lead the Majors in miscues with 76. … This is the first time Romo has suffered the loss in consecutive games in his career.